Local Youtube vlogger and make-up artist Mihali Ndamase (PHOTO: Mihlali Ndamase Instagram). Whether you’re meeting your in-laws, preparing for a graduation ceremony or simply looking to put together the perfect face beat over this festive – we’ve got you covered. From 22-year-old beauty vlogger Mihali Ndamase to qualified celebrity make-up artist Precious Xaba, below we’ve put together a variety of looks for you to check out and try this summer. 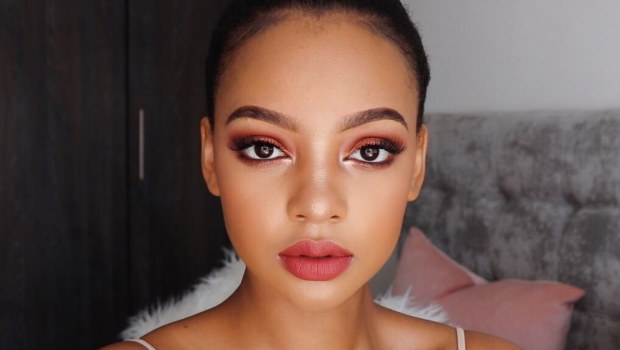 Mihlali is not only a qualified make-up guru who has become a national vlogging sensation, but she is also a social media influencer. The 22-year-old, who recently celebrated reaching 100K subscribers on her YouTube channel, is well known for her beauty on a budget make-up looks. READ MORE: How much would it cost you to get flawless skin like Mihlali Ndamase, Duckie Thot, Jhené Aiko and Tracee Ellis Ross? Check out some of the budget looks she’s put together on her Instagram page below or visit her YouTube channel to see her recent make-up tips and tricks. Vuyo is well known for his work on A-list starts such as TV and radio personality Bonang Matheba and singer Lira. Check out some of the looks he has worked on below. 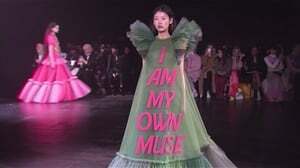 See some of his most famous looks on his website. Rushana Isaacs is a Cape Town based pro make-up artist and content creator who is followed by the likes of actress Nomzamo Mbatha and Michelle Mosalakae on her Instagram page. From ice queen Halloween looks to simple eyeliner hacks, there’s simply no look Rushana cannot pull off. Check out Rushana’s YouTube page to see some of her latest make-up tips and tricks. She goes by the name of PreciousXABAmakeup on her Instagram and is a qualified health and skin care therapist according to her bio. Precious has become quite well known for beautifying the faces of South African stars such as Enhle Mbali, LootLove and Blue Mbambo to name a few. The Johannesburg-based MUA, recently worked in collaboration with international make-up brand NYX to launch her Get Read With Me classes. Visit her Instagram page to find out what looks she has put together. Audrey Mofokeng is a freelance make-up artist who is also radio and TV personality Thando Thabethe’s go to face beat guru. The local celebrity make-up artist also recently compiled Boity Thulo’s cover look for her rap single featuring Nasty C Waz Dat. Be sure to check out Audrey’s Instagram page to see her latest glitz and glamour make-up looks. #VDJ2018 @thando_thabethe killed it nana ?????? #Beatsbydrey ?? Has beauty vlogging answered the cosmetics industry's prayers?